A few years later, I helped my grandparents swap out all the records in the jukebox; I typed the labels for all the new records, but there were some, like Seger’s, that had to stay. 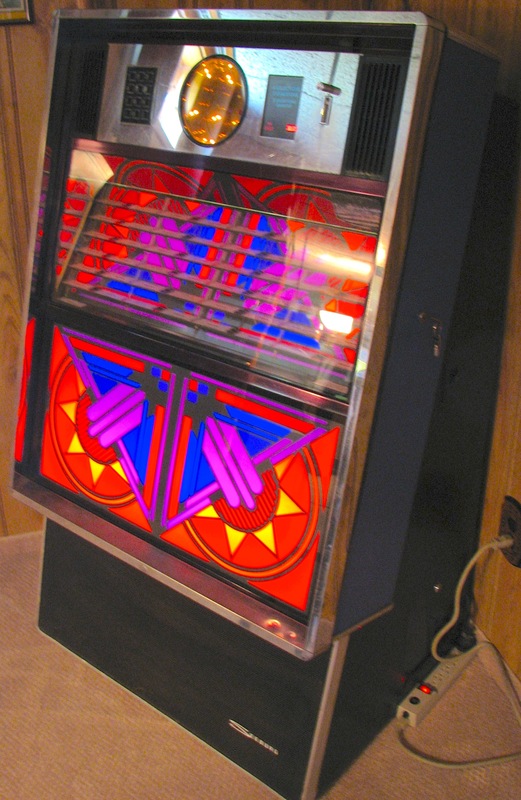 Whenever I return to my grandparents with a friend who hasn’t visited before, we turn on the jukebox. During one of those visits, we discovered that Grandpa had a crank-operated phonograph in another room, complete with original felt and needles. The bottom cabinet held large cases of shellac-based phonograph records, mostly 19th century music and some early blues or jazz. Surprisingly, you can still find decent sound quality in those old, brittle discs. Between my first and second years of undergraduate education, I somehow came to possess a modest box of vinyl records. Some had been found in a house that we moved into, while others were scraped together from the few that my parents had kept. Vinyl was interesting because no one in my family listened to records regularly. My first records weren’t the artists and genres that I like most, but they planted the vinyl seed. At university, I did something that would cause most collectors to cry: I separated the records from their covers. Each wall of my dorm room was covered in album covers and vinyl, which served to give some character to the room and to display my options. By that point, I had accumulated more records that reflected my personal tastes. As my collection followed me from place to place over the next few years, my appreciation of vinyl was still firmly rooted in the aesthetics of the record rather than quality or nostalgia. Some music lovers claim that the only true way to appreciate an album is to listen to it from beginning to end, following the course marked out by the artist. Although I’m not entirely convinced that albums are best experienced in that manner, I’ve come to believe that there is something else happening when you choose to spin a record. I grew up with a mix of tapes and CDs, which helped shape my early understanding of music. Tapes were frustrating because, like records, you couldn’t easily skip a song. CDs were perfect for facilitating personal song preferences. (In a family of five with very different tastes, we used the Next button often.) 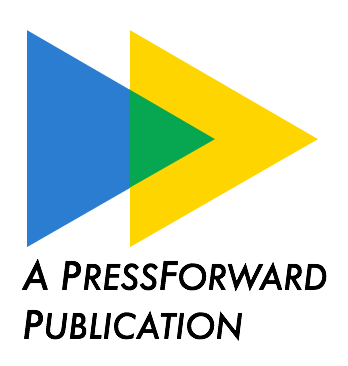 The CD was the first format that allowed easy, on-demand play. The difference between tapes and vinyl is that the songs are hidden on a tape, requiring you to memorize the order or refer to the liner notes. On vinyl, each song is clearly visible, though not labelled, on the disc. If a side has five songs, each will appear as a section of fine grooves separated from the others by a brief gap. How long is a song? Note the width of the grooves. You can skip songs, if you carefully pick up and replace the needle, but I think that defeats the purpose of the record. The physical act of selecting, preparing, and playing a vinyl record makes a statement: “I’m prepared to listen to this arrangement of music in the order it was laid down.” You might have to listen to songs you don’t like. And maybe you’ll begin to like them. Or maybe you won’t. But you’ll still play the record, if you enjoy the majority of those grooves. Vinyl is a precarious balance between personal taste and acquiescence. The listener and artist compromise, acknowledging the authority (to arrange songs or to choose albums) enacted by the other, but accepting the terms of the arrangement. You place a record on the turntable, set the needle, and walk away. You’ve made your choice, and now you let the past shape your present.